The tourist destination Kufri ahead of Shimla and the higher hills around too received rain and snowfall. 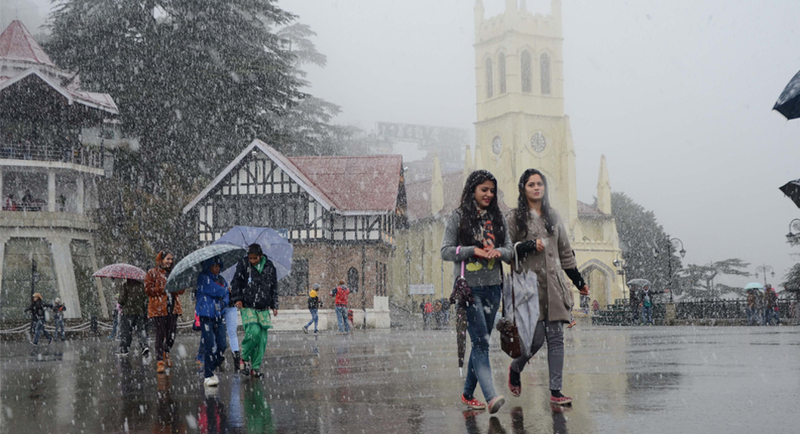 The Weather Gods today gave a pleasant surprise of White Christmas to Shimla for a while, as they failed the prediction of dry weather by experts, much to the delight of tourists. The Queen of Hills, Shimla woke up to rain and got season’s first snowfall for a couple of hours in the morning, which lent white look to Deodar trees and the buildings and added chill to the environs. The snow, however, was not long lasting and melted early. White Christmas, which has been giving a miss to Shimla for past many years in view of a considerable shift in winters due to overall warming of weather, is much sought after in this erstwhile summer capital of the British. Rather, the tourists keep trickling in Shimla from entire country on Christmas in the run up to New Year. The New Year eve in Shimla is spectacular as thousands of tourists converge on the historic Mall and Ridge, dancing their way to the new dawn. The snow adds charm to their celebration. The weather forecast by the meteorological department here till yesterday had reported that it was going to be dry weather in Himachal Pradesh till December 30, dashing the hopes for snowfall. “We had predicted dry weather on the basis of available data. The revised data did indicate that there would be rain and snow on isolated places in the state,” Director, Meterological department, Manmohan Singh told The Statesman. The weather forecast released by the department today again mentions that it’s going to be a dry weather till December 31. 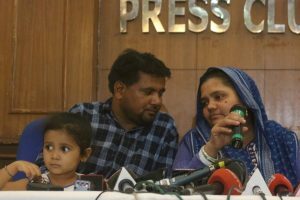 “However, we may have some Western disturbances on December 28,” said Singh. The tourism industry, however, is all smiles on the first snowfall on Christmas. “Snow is more than welcome at this time. Although our tourism hotels are already doing good and our bookings are full all through the next week in Shimla and most other parts of the state, the snowfall would give a further boost to tourism on the whole as the New Year eve arrives,” said Vijay Sharma, General Manager, Himachal Pradesh Tourism Development Corporation (HPTDC). He said the demonetisation had slowed down tourism in HP for initial 15 days, but it had picked up now. “Our hotels are doing better than last year,” Sharma said. The private hotels too have advanced bookings of 60-70% in the state capital, beginning today and it is likely to pick up with today’s snow, find hoteliers. Shimla had been witnessing pleasant sunny weather over the last fortnight, with a maximum of 22 degree Celsius and minimum of 13 degree Celsius. It is pertinent to mention that there has been consistent decline in snowfall in Shimla since 1990.